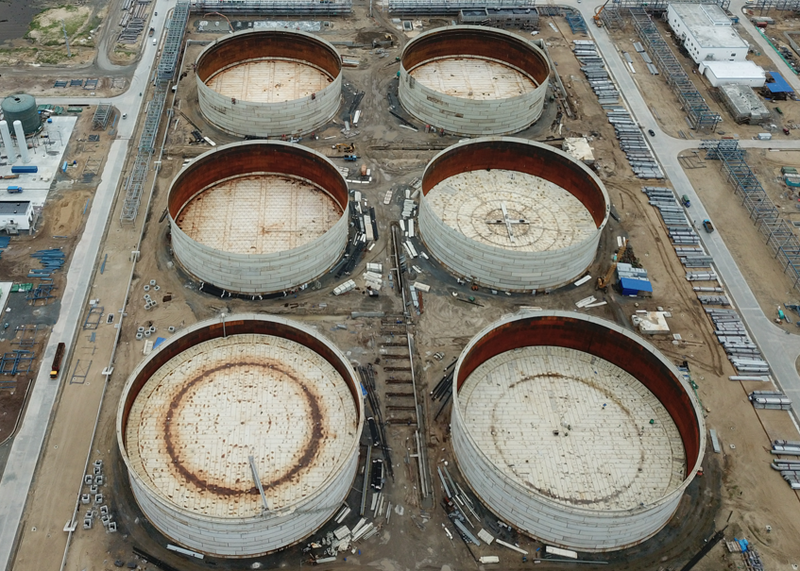 On July 30, 6X50,000 M3 and 8 X100,000 M3 crew oil tanks main body are completed in Hengyi Brunei PMB Petrochemical Project. The project was officially started at the end of September last year, and the field installation began on November 28. 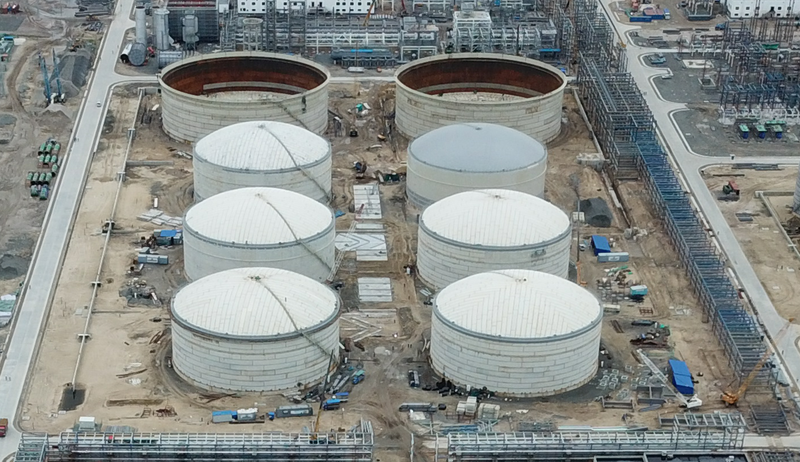 Water testing started on April 25 this year for 50,000 cubic meters of storage tanks, and July 13 for 100,000 cubic meters of storage tanks. During the construction process, the project department carefully organized and reasonably arranged, strictly controlled lifting, fitting, welding, water testing, painting and every process. Up to now, the reject rate of welding is 0.05%, and there is no safety accident.